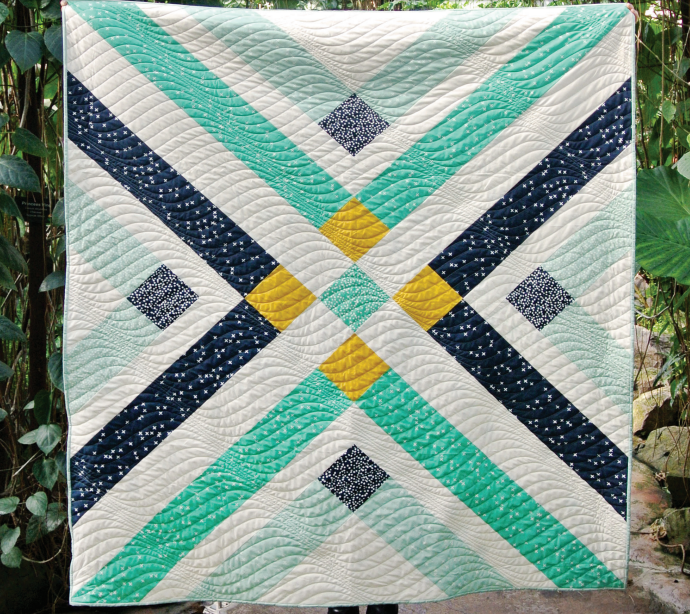 This quilt has a simple, yet striking design. Itching to make a quilt, but low on time? This pattern is the one for you! 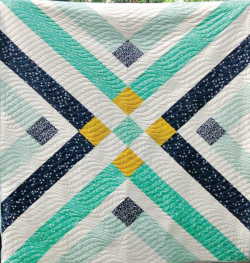 "We adore the clever take on a plaid motif, and what we love even more is how quickly this entire quilt pieces together! This is a great project for those beginners just venturing into the world of quilting." "This quilt is comprised of 4 large blocks joined together by sashing. Two of the blocks are unique and the other two are duplicates."